Animal advocates are urging people to learn about the dark side of animals in captivity -- and to teach about it, too. 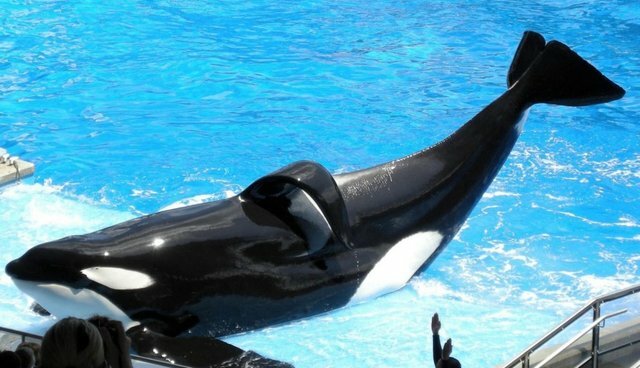 PETA is using TeachKind, its human education division, to ask school teachers in Texas to not bring their classes to SeaWorld San Antonio -- despite the amusement park's offer for free tickets. SeaWorld's "Teacher Study Pass" offers certified kindergarten through 12th grade teachers "complimentary admission to the park and access to our education team to help you incorporate our knowledge, passion and experience with marine animals into your classroom." TeachKind sent a letter to school principals in the area, pointing out issues associated with keeping orcas in captivity, announcing that they will send a copy of the documentary "Blackfish" to schools for free and asking them not to plan field trips to the park. "Kindness and empathy are two of the most important lessons that children can learn, so the last place that teachers should take their students is SeaWorld," says Director of Youth Outreach and Campaigns Marta Holmberg. While PETA is busy sending out letters as a publicity stunt meant to push their own agenda, SeaWorld is currently assisting in the rescue of cold-stressed sea turtles on the Texas gulf coast. Our 50-year track record for rescuing more than 23,000 animals and our commitment to the highest level of animal care proves that the team members of SeaWorld, not PETA, are the true animal advocates. In the wake of "Blackfish," a CNN documentary that detailed the 2010 death of an orca trainer at SeaWorld, one elementary school has already canceled a long-standing overnight trip to SeaWorld, thanks to concerned students who watched the film and said that they didn't want to go. Fifth-graders at Point Dume Marine Science Elementary School in Malibu, California won't be going to the park anymore, which a SeaWorld spokesman said "is the only instance of a camp cancellation that we've experienced."